My name is Maira Avalos and I am a Licensed Professional Counselor in the state of Texas. I have over 6 years experienced as a psychoeducational counselor, technician, and individual therapist. I have extensively worked with active duty service members and veterans. I work with a wide range of issues, including anxiety, depression, relationship issues, career/job stress, emotional abuse and trauma. My counseling style is interactive and client centered. I believe in treating everyone with respect, honesty, sensitivity and most importantly in a non-judgmental manner. My approach is a combination of cognitive-behavioral therapy and solution focused therapy. My goal is for clients to always get the most they can out of each session and creating therapeutic goals that will help clients get something meaningful out of each experience. 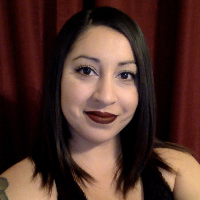 Would you like to write a review for Maira Avalos? We'd appreciate if you can spend a couple of minutes to write a short review for Maira Avalos (MEd, LPC). This review would be shared with Maira Avalos. It may also be posted in our website or in Maira Avalos's profile but it would be anonymous and your identity would be kept completely confidential.